Prepare your teenager for the financial challenges of adulthood by talking to him or her about the following topics. Whether your teen earns an allowance from you or works a part-time job, he or she will need guidance on what to do with the income. Set some expectations regarding your teen’s pay. How much of it will be discretionary? Will your teen start contributing to his or her share of a monthly cell phone bill, or would you prefer for your child to set aside a portion of each paycheck for college? When your teen earns his or her first paycheck, take time to sit down and review the information on the pay stub or online statement. Help your child understand what certain terms mean, such as gross pay, net pay, federal income tax, state income tax, Social Security tax, and Medicare tax. Show your teen how income taxes can affect take-home pay. 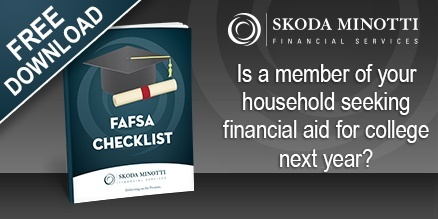 Help your teen learn to be accountable for his or her finances by developing a spending plan. Start by listing all sources of regular income (e.g., an allowance or earnings from a part-time job). Next, ask your teen to identify regular expenses. Depending on what you and your child have agreed on, that might include car insurance, a cell phone bill, or clothing expenses. Take the total expenses and subtract them from your teen’s total income. If this exercise shows that your child won’t have enough income to meet his or her expenses, help your teen come up with a plan for making up the shortfall. Suggest ways to earn more money or cut back on expenses, but resist the temptation to bail out your teen. The point of establishing a budget is to give your child a taste of what it’s like to earn an income and pay expenses without running out of money. In the past, your teenager probably came to you for money to pay for items that he or she wanted. Now that your teen has a steady source of income, it’s time for him or her to make purchases independently. Your child may be ready to start saving for larger goals such as a new computer or a car and longer-term goals such as college. Encourage your teen to save by putting these goals in writing to make them more concrete. Consider offering incentives, such as matching what your teen saves toward a long-term goal. For example, for every dollar your child sets aside for college, you might contribute 50 cents or more. Remember to praise your teen for showing responsibility when a goal is reached. Your approval, as well as the sense of accomplishment your teen will feel, can help reinforce healthy savings habits. While credit card companies require an adult to co-sign a credit card agreement before they will issue a card to someone under the age of 21, you shouldn’t ignore the credit card issue altogether. Teach your teen about establishing and maintaining good credit. Explain how credit card interest is calculated and emphasize the importance of paying bills on time. Don’t be afraid to share your experience using credit with your child — personal examples can be a great way to help him or her learn. Why do I want this item? Am I buying something because I really want it, or because all of my friends have it? Can I really afford this item? Do I need to buy this item now, or can I set aside money to buy it at a later time? Am I getting a good deal on this item, or should I shop around for a more affordable alternative? Remember that talking to your teenager about money now can help him or her establish a more financially stable future. For more information, contact Michael Granito at mgranito@smcofinancial.com or call us at 440-449-6800. This entry was posted in Financial Services and tagged budget, children, credit, financial planning, financial services, income, money. Bookmark the permalink. Follow any comments here with the RSS feed for this post. Comments are closed, but you can leave a trackback: Trackback URL.